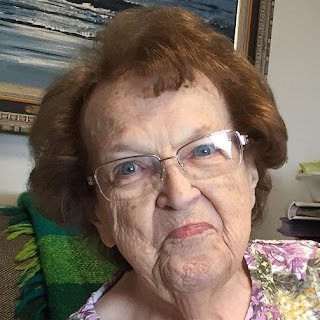 Marie C. Berger passed away November 29, 2018 in Elderwood of Lockport. Born March 5, 1930 in Limerick, Ireland she was the daughter of Thomas and Ellen (Cahill) Sweeney. Besides her parents Marie was also predeceased by her daughter Veronica Bernardi and brother Gerry Sweeney. She is survived by her sisters Bernadette Keogh, Gloria Mulholland, and Veronica Sweeney all of Ireland; children Ann (Thomas) Wittlinger and Thomas (Sharon) Berger; son-in-law Randy Bernardi; grandchildren Michael Vigiliant, Monica Grizzle, Ryan Bernardi, Greg Bernardi, Alex Berger, and Owen Berger. Marie’s family wishes to thank the staff at Elderwood of Lockport who took such great care of her. Private services will beheld at the convenience of the family.